Atari 2600 VCS emulator Stella has been updated to version 3.4.1. This update fixes a bug with analog axes on gamepad devices, re-enables the 'grabmouse' command line argument, and fixes a bug with emulation of paddles. See the official site for download links and full details on the update. SpeedofMac is still compiling the latest change sets from PlayStation emulator PCSX-Reloaded. Recent changes have included improvements to the plugins and fixes for individual games. Grab the latest version (68249 at the time of writing) from the PCSX-Reloaded section of SpeedOfMac's website, or check out the official PCSX-Reloaded website for source code. MAME, together with its Mac-specific port, SDLMAME, has reached version 0.143. As usual, there is a plethora of fixes and source changes, so be sure to check out the release notes if you're after a particular improvement. Head over to the official MAME website for more details or source code, or drop by the SDLMAME website for a version precompiled for OS X. Keep reading for more updates, including new MESS, XRoar, Gbpablog, and more. Dragon emulator XRoar has been updated to version 0.25.3. The 0.25 update improves CPU emulation accuracy and timing, adds the ability to print to file or pipe, and more. As of this writing, the latest packaged build is for version 0.25.1, which lacks the GTK+-related fixes of 0.25.3. You can find this packaged build, source code for the latest version, and a full change log at the XRoar website. Multi-system emulator MESS has been updated to version 0.143. See here for the changes. There is currently no Mac build available, so you'll have to compile from source to run this one in OS X. Check out the official MESS website for more information and documentation. QMC2, the MAME / MESS Catalog / Launcher II successor project to QMamecat (a MAME GUI front-end for UNIX), has been updated to version 0.2.b20. Changes include added cabinet detail, usability enhancements, and improved search functionality. See the change log for full details. You can download QMC2, or learn more about the project, at its official site. Gbpablog 0.9 has been released. 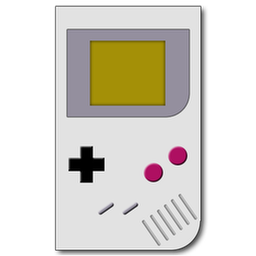 Gbpablog is an open-source Nintendo Game Boy emulator written in C++. The new version adds sound and savestate support, removes the requirement for a pre-existing SDL library installation in Mac OS X, improves accuracy and compatibility, and more. See the Changelog for full details. You can get the emulator from its Google Code homepage. Legacy computer emulator OpenEmulator r677 is now available. Among the changes from last month is a correctly-functioning hardware library, and dragging and dropping devices in the interface. Work should soon begin on the actual emulation. Check out the official Open Emulator website, and the developer site, for more information. XM6i, the Sharp X68000 and X68030 emulator that we discovered last month, has been updated to version 0.31. See here for a fairly lengthy change log that is entirely in Japanese. The rest of the website is also in Japanese, so those not versed in kanji will need the aid of a translation service to check it out. The maintenance releases continue to flow freely for open-source x86 and AMD64/Intel64 virtualisation tool VirtualBox. 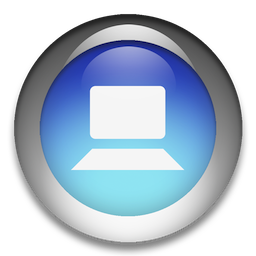 The latest version, numbered 4.0.10, fixes various issues, including those associated with running the program in Mac OS X Lion. See the Changelog here.